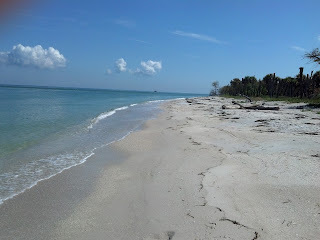 This is beautiful Cayo Costa State Park. Miles and miles of unspoiled beaches, very few people. Very primitive facilities and only accessible by boat. The trail system was extensive and fun! Thanks to our great friends Craig and Sue who invited us over and gave us a great day's tour of the island. We can't wait to go back!